About our pet hospital in Whitby, Ontario. Contact our veterinary team today to make an appointment. Our clinic was established in November 1996. 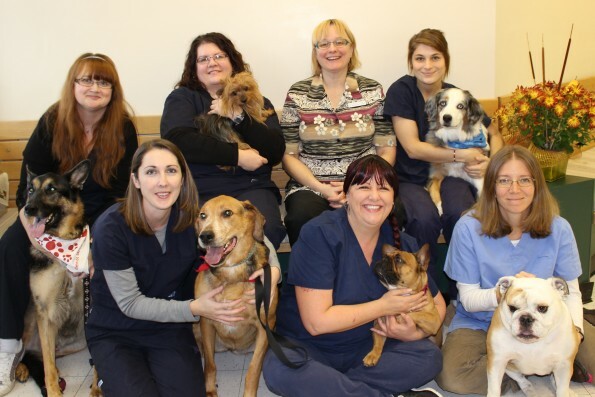 We were part of a group that operated 9 different clinics located next to PetSmart stores in Ontario. Dr. Jones was a member of our clinic from the beginning. In 2002 she had the opportunity to purchase the clinic and make it her own. We believe in, and encourage, preventative health care for our patients. Our goal is to educate our clients to improve their pet’s lifestyle and to enrich the bond between people and their animals. Our commitment is to provide you and your pets with progressive, high quality and compassionate veterinary care, in a timely, friendly and professional manner.